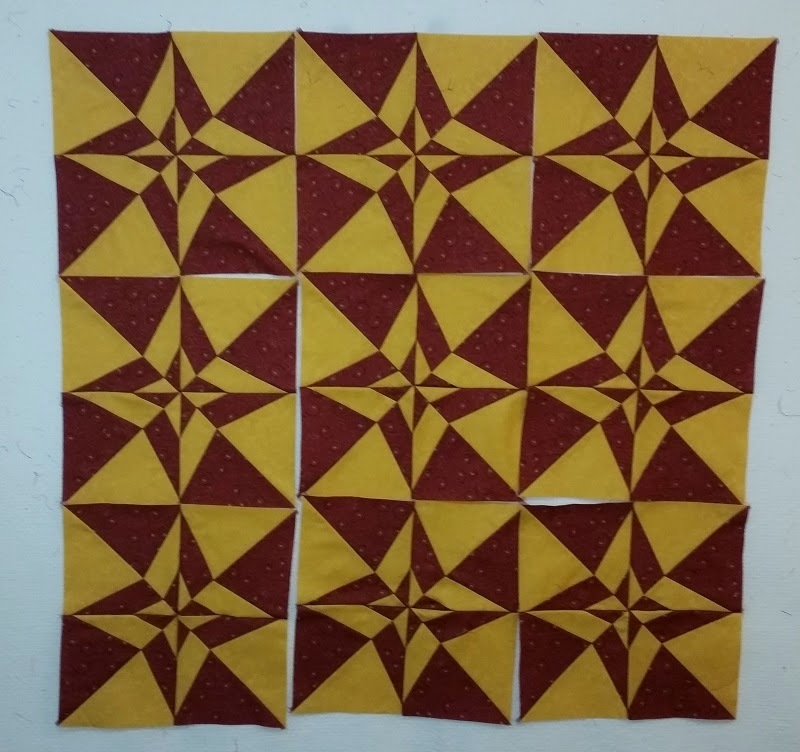 No finishes this week, but very close on my Sisters Nine Patch. 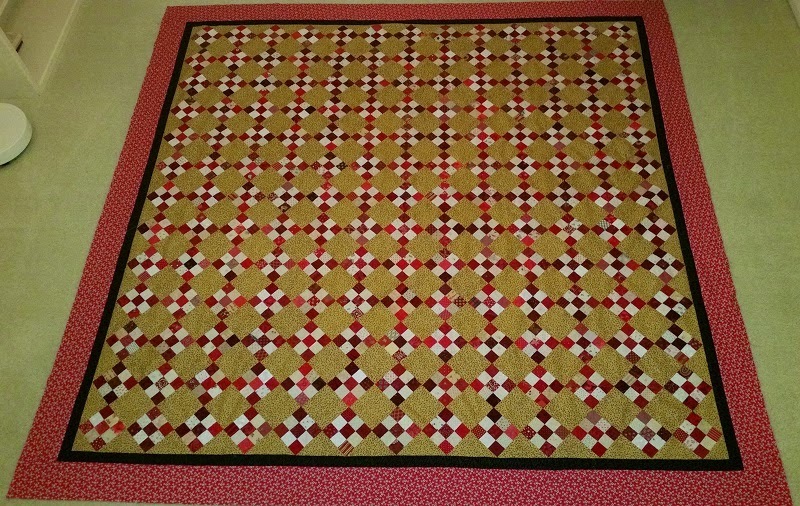 The center is sewn and pressed and all that is left are the borders. Just in time for the Parade later this week. 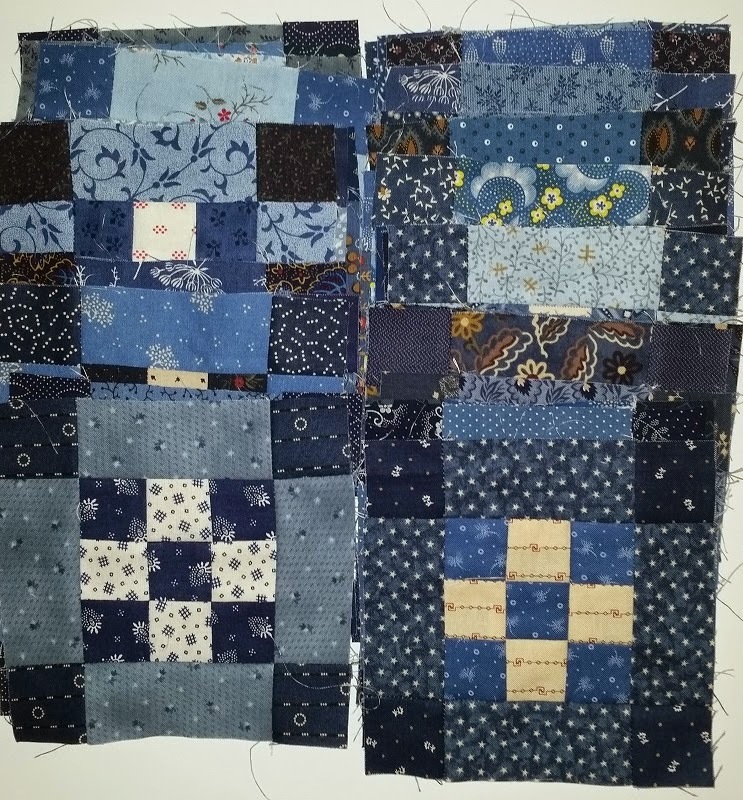 I added the fabrics below, all purchased at Rosie's Calico Cupboard in San Diego. If you are every in the area, this is a must stop! 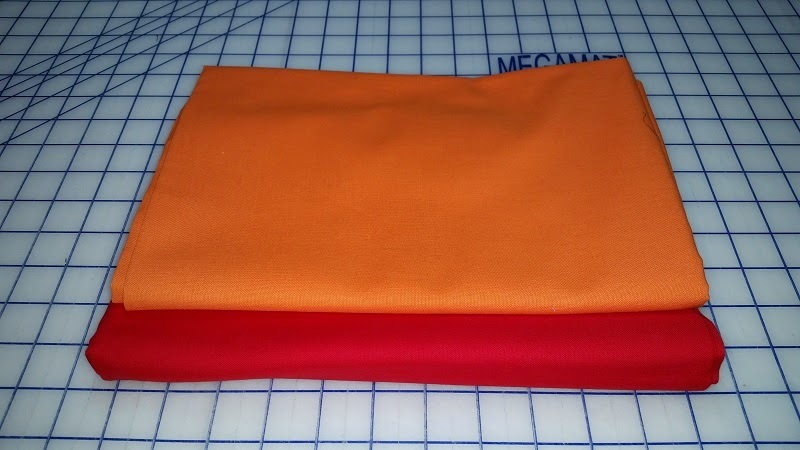 The red and cheddar are for another Bonnie Hunter project that is on my UFO list, called Midnight Flight. 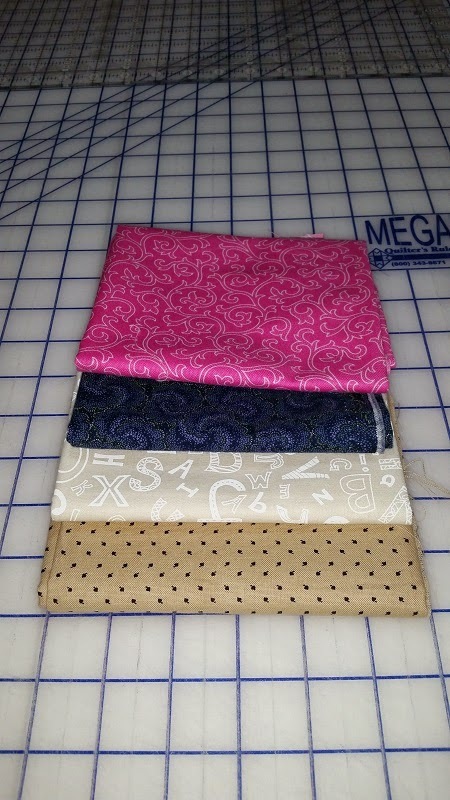 Also added were some fat quarters for various other projects in the works. 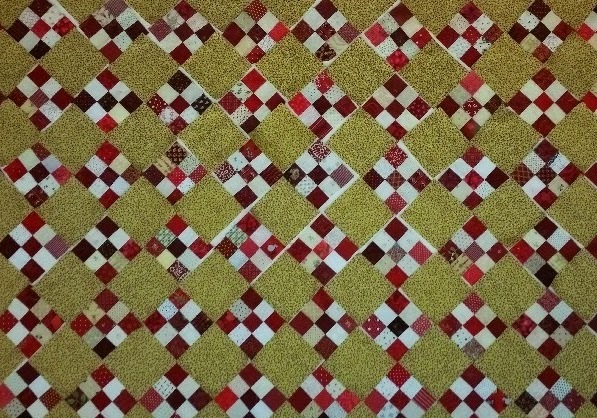 Net Fabric Used YTD: 1.0 yards. Check our all the other reports at Patchwork Times. Happy Sewing!